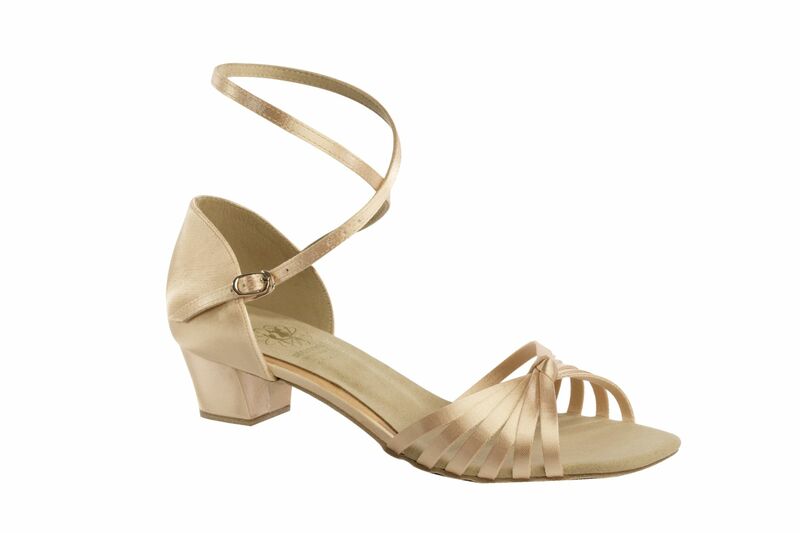 The 1666 Girl’s Latin Shoe continues to be a popular shoe in our Children’s Ballroom range here at Duo Dance London. A pretty dance shoe in Dark Tan Satin, Flesh Satin or White Coag. It is a perfect shoe for Dance Performances, Competitions, Medal Tests and Examinations and is suitable for all styles of Latin dance. A great entry level shoe and popular with Beginners. 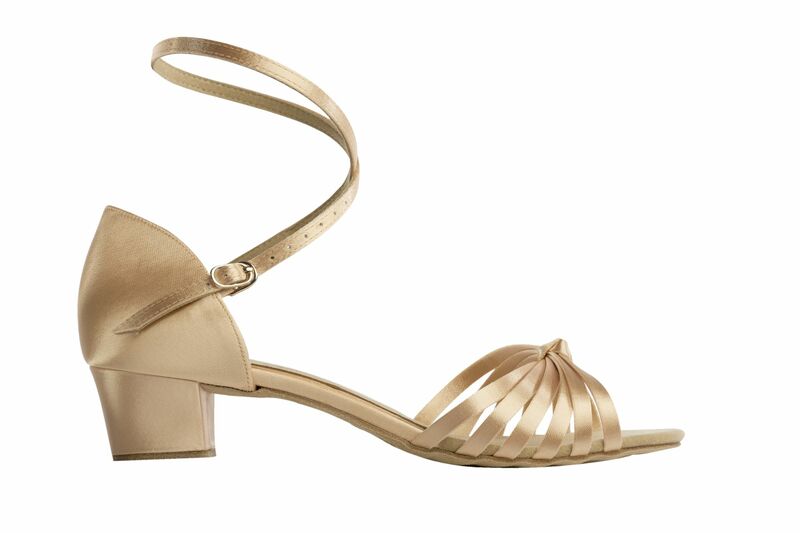 The 1666 Girl’s Latin Shoe is an open toe sandal in a choice of Dark Tan Satin, Flesh Satin or White Coag. It has 6 straps crossing the vamp in a knot and a wrap around strap holding the foot securely in place. The 1666 is available in a regular fit and in UK Sizes C12 – 5.5 including half sizes and comes with a 1.5″ Regulation Heel. Please note that the C donates a child size, not the width of the shoe and there is no added TAX on children’s shoes and sizes. It is sometimes possible to change the heel, width, choice of fabric as a “made to order” option. Please email us at info@duodance.co.uk. and we will amend your order. “Made to Order” options take up to 8 weeks to manufacture but well worth the wait to have a unique shoe!